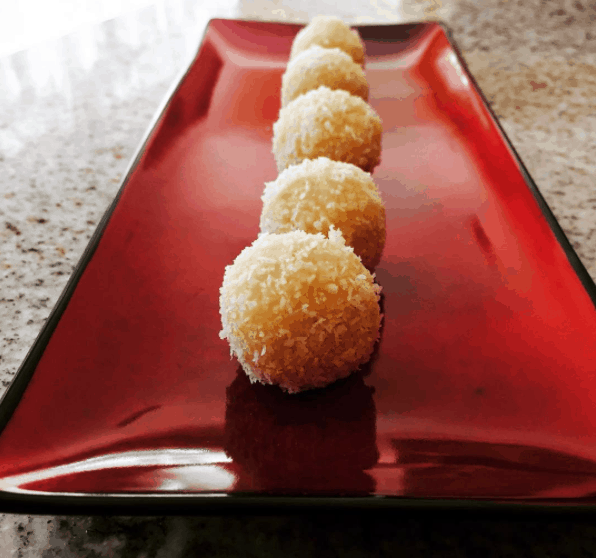 Quick and easy, 10-minute recipe for Coconut Ladoo using condensed milk and desiccated coconut. 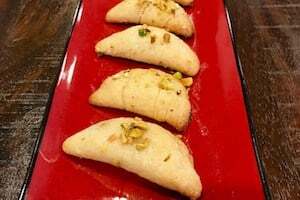 Try it and enjoy this traditional Indian sweet on a busy day too! 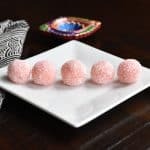 Coconut Ladoo or Nariyal Ladoo/Laddu is an traditional Indian fudge-like sweet that is made with dried coconut flakes, condensed or dried milk and sugar. All the ingredients are mixed over medium heat and whisked till a soft dough is formed. Ghee is added to add flavor and help roll the dough into spherical balls called Ladoo or Laddu. The consistency of the Coconut Ladoo is like fudge- it’s soft, chewy and melts in your mouth. 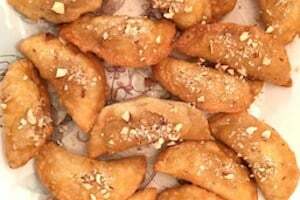 Growing up we always had an assortment of Indian sweets around festivities, especially Diwali. Mom would make some and we would buy some from a local sweet shop. 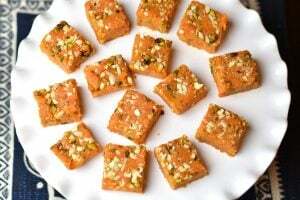 My favorite sweet was always the Nariyal Burfi, which is like a coconut fudge bar. This Coconut Bar or Burfi used to be pink in color. I’m not sure if they added any natural ingredient or used food colors, but it looked so tempting and pretty. This delectable dessert is made with pantry ingredients and can be done in no time. 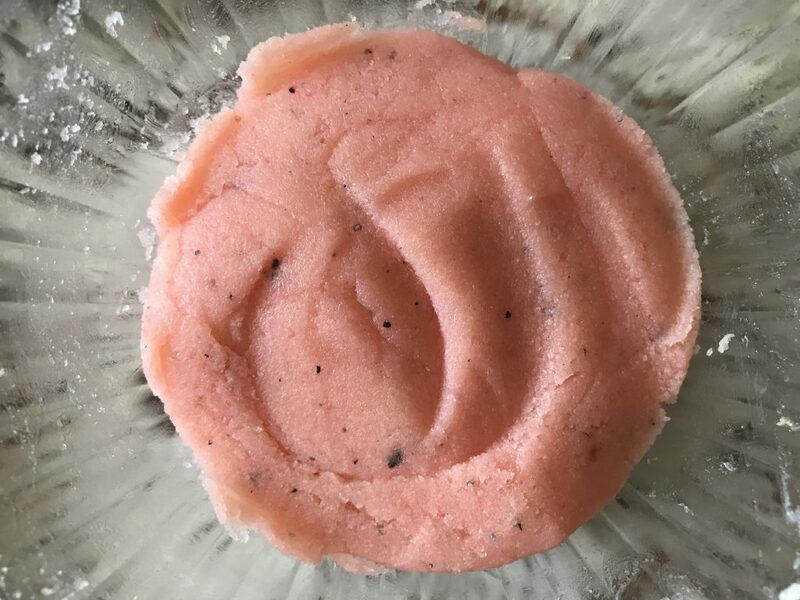 She made this dough on the stove-top by stirring everything together on medium heat for about 10-15 minutes till a soft dough is formed, cooled the mix and rolled the dough into Ladoos. My mother-in-law’s recipe required continuous stirring for the 10-15 minutes. I wanted to minimize that, so I tried her recipe in the microwave. Then, I rolled the ladoos and coated them with desiccated coconut. It looked like coconut fudge covered in snow flakes and tasted DIVINE! 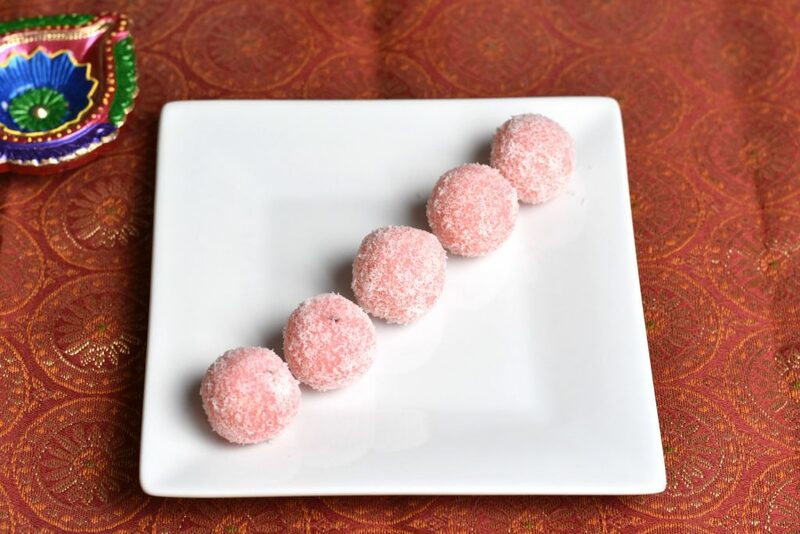 As a fun activity for kids, you can add a few drops of baking food color and makes these coconut ladoos colorful too. 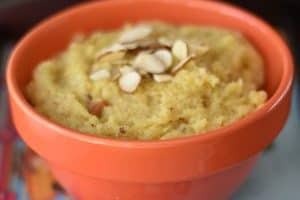 Whenever I am hosting friends for an Indian festival, I make this recipe a couple of days ahead and it they taste amazing. Its a bite-size portion ladoo, so makes for easy finger-food, no extra utensils needed to eat this. This is a great dessert to take for a potluck too. 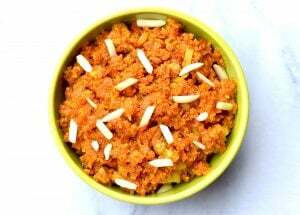 This recipe for Coconut Ladoo is vegetarian, gluten-free, nut-free. 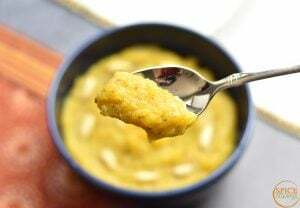 To make this vegan and dairy-free, substitute the ghee with vegetable or coconut oil and milk with coconut milk or almond milk. The same recipe can be made on the stove-top, in a heavy bottom pan. ✓ Heat the pan on medium heat. Add desiccated coconut and saute it for 30 seconds, stirring continuously. This helps the dried coconut become moist and release it’s flavor. ✓ Now add condensed milk and ghee to the coconut and mix well. Skip the milk. Keep stirring it every 2 minutes so that the mix doesn’t stick to the bottom and burn. ✓ Stir till the liquid starts drying and the mix reaches a soft dough-like consistency. Keep a close eye on your mix starting at the 10 minute mark. It can take between 12-15 minutes, depending on your stove heat level and quantity. ✓ Add cardamom powder and mix well. ✓ Take a small portion of the dough in your hands and roll it in a circular motion between your palms to form a soft ball. Watch the video for clarity on this step. ✓ Coat the ladoos in the remaining desiccated coconut. Your coconut ladoos are ready! 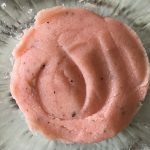 There is no pressure cooking needed for this recipe, but you can even use the SAUTE feature of your Instant Pot and make these. 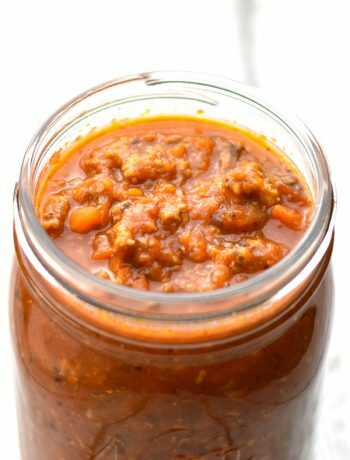 ✓ Turn on your Instant Pot in Saute mode (normal/medium). Add desiccated coconut and saute it for 30 seconds, stirring continuously. This helps the dried coconut become moist and release it’s flavor. ✓ Now add condensed milk and ghee to the coconut and mix well. Keep stirring it every 2 minutes so that the mix doesn’t stick to the bottom and burn. ✓ Keep stirring till the liquid starts drying and the mix reaches a soft dough-like consistency. Keep a close eye on your mix starting at the 10 minute mark. It can take between 12-15 minutes, depending on your stove heat level and quantity. Coconut Ladoo or Nariyal Ladoo (Laddu) is an Indian sweet that is made with dried coconut flakes, condensed or dried milk and sugar. 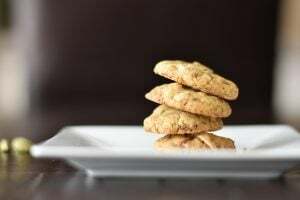 This quick 10-minute recipe requires no baby-sitting and stirring, by using the microwave and a simple hack to keep the ladoos soft and fudgy. In a microwave safe bowl, take desiccated coconut and heat it for 1 minute, taking it out at 30 seconds and stirring it. This helps the dried coconut become moist and release it's flavor. 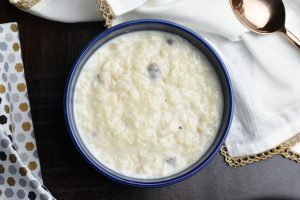 Add milk, condensed milk and ghee to the coconut and mix well. Pop it back in the microwave for 2-3 minutes, taking it out EVERY 30 seconds and stirring it well. Since microwave temperatures vary, keep an eye on your mix starting at the 2 minute mark. The coconut mix is done when it forms a soft dough. It takes me 3 minutes to accomplish that texture. Add cardamom powder and mix well. Take a small portion of the dough in your hands and roll it in a circular motion between your palms to form a soft ball. See the video for clarity on this step. Coat the ladoos in the remaining desiccated coconut. Your coconut ladoos are ready!